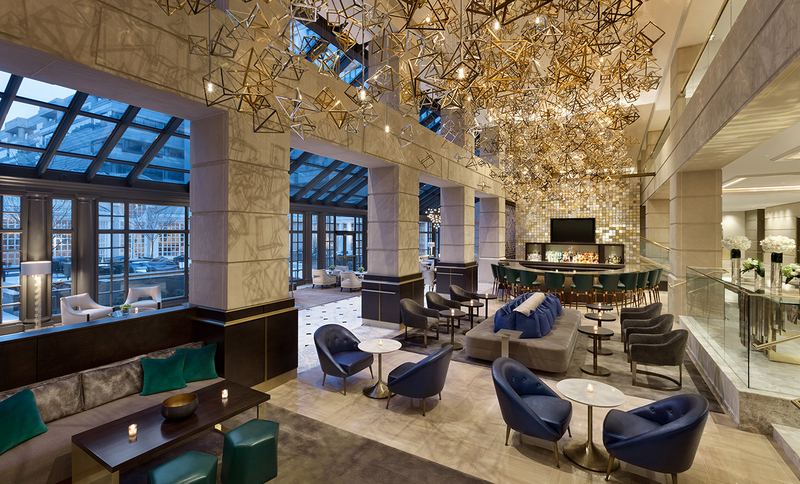 Drawing inspiration from the geometry of an aerial view of Washington DC, ForrestPerkins served as architect and interior designer to transform the lobby, lounge, and outdoor courtyard at the Fairmont Washington, D.C. 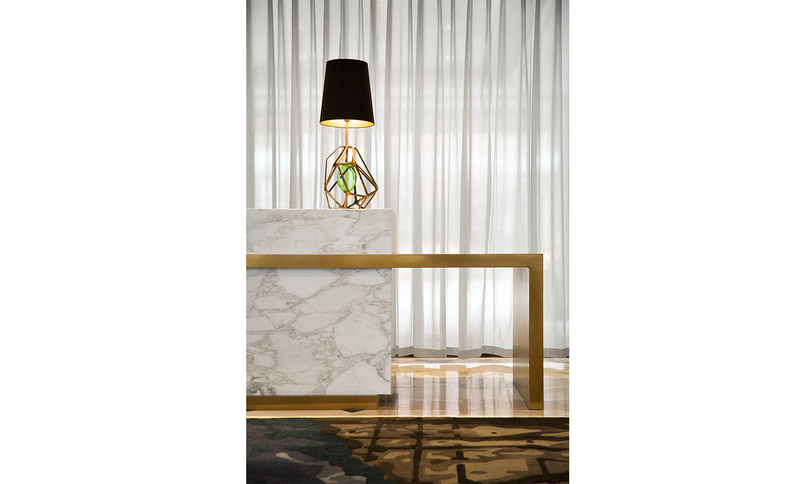 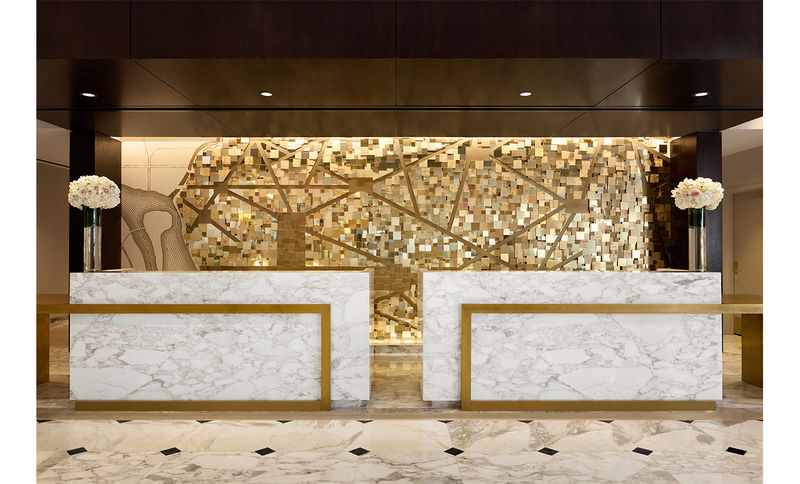 The theme is woven throughout the new space, and is reflected in a geometrically abstracted map of DC behind the front desk, as well as the dramatic undulating chandelier. 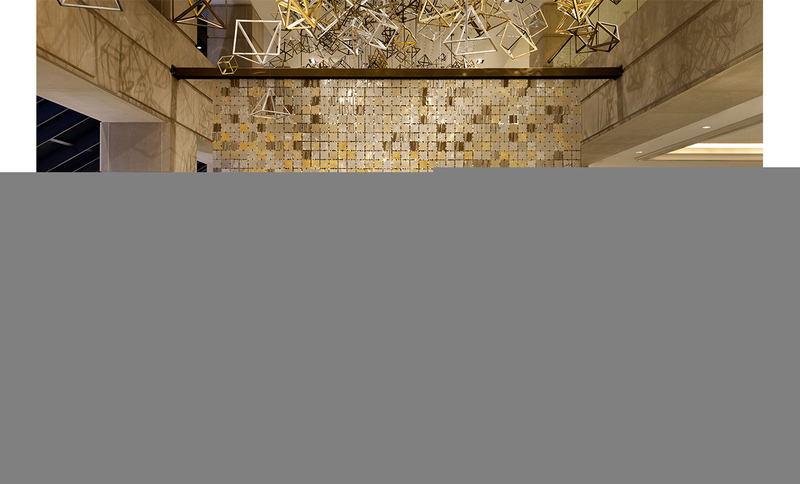 Comprised of 4,500 individually suspended shapes of mixed metals, the geometric elements create a play of shadows on the original limestone columns that pay homage to the city’s Neoclassical architecture. 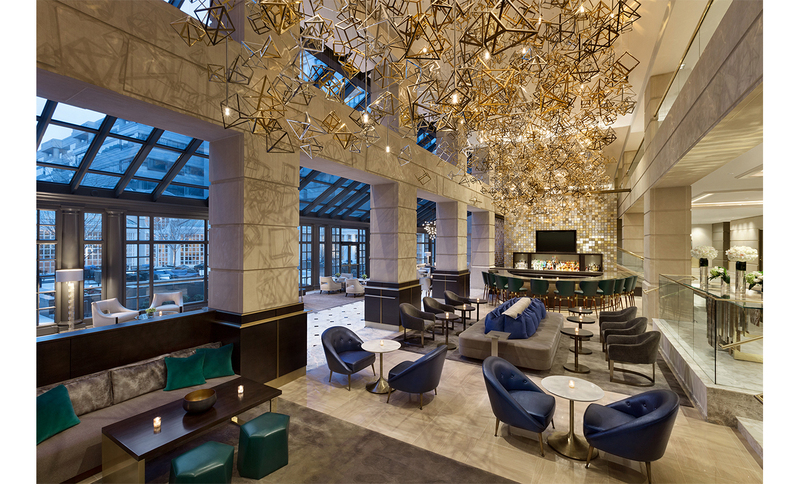 Sculptural hand tufted rugs depicting the city grid and Potomac river unify the space. 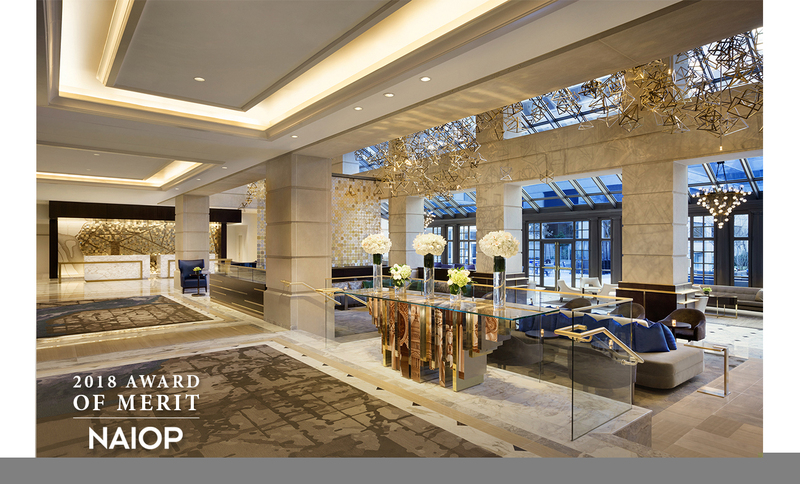 ForrestPerkins also led the design of the addition of the 2,990 square-foot Kennedy Ballroom at the Fairmont Washington, D.C., Georgetown. 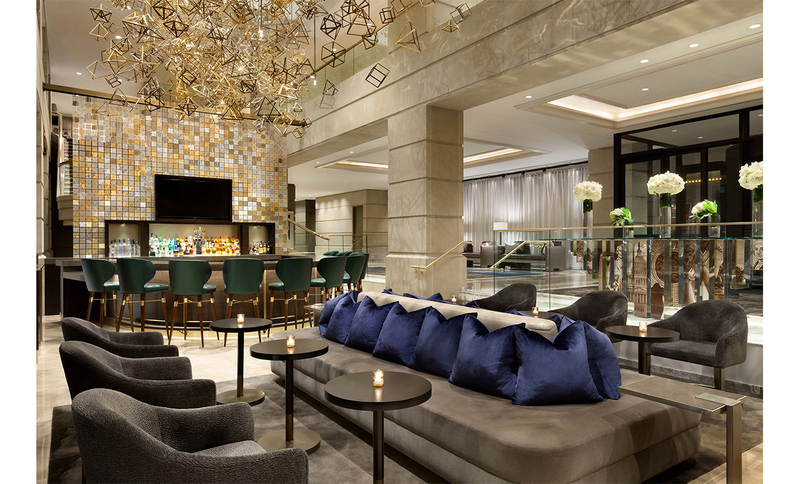 The addition is part of a $27 million renovation of the 413-room luxury hotel. 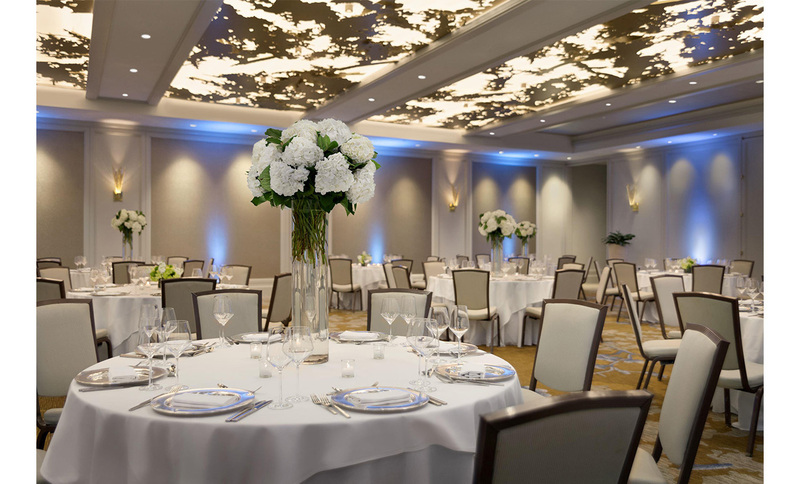 This intimate ballroom can hold 320 seated guests for theater-style events, 300 guests for receptions, or 150 seated guests for classroom style events. 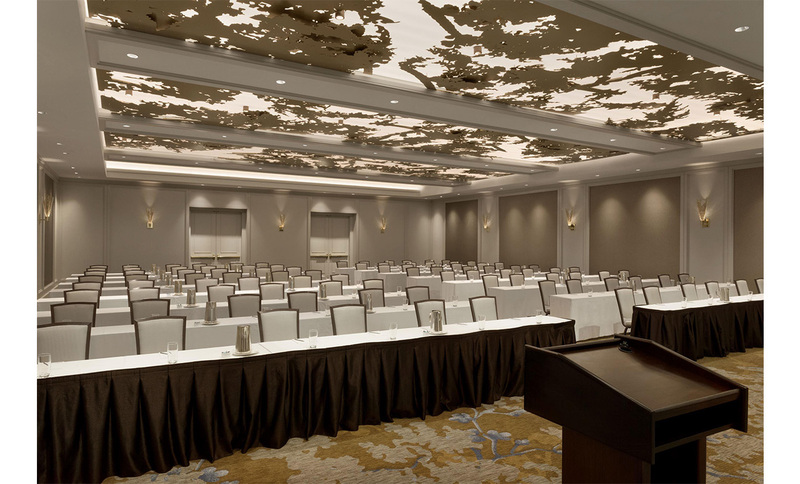 The Kennedy Ballroom’s decor evokes D.C.’s cherry blossoms, in both the carpeting and back-lit, laser-cut gold metal panels suspended from the ceiling to recall a tree canopy. 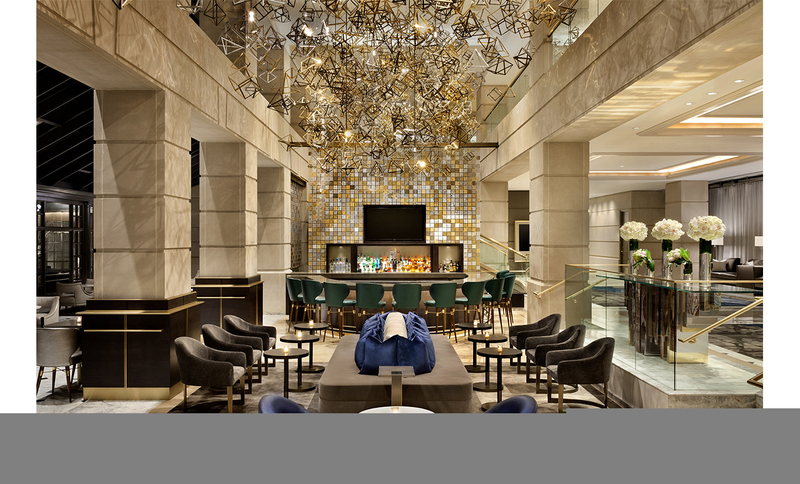 BizBash named the Kennedy Ballroom at The Fairmont Washington, D.C. as the No. 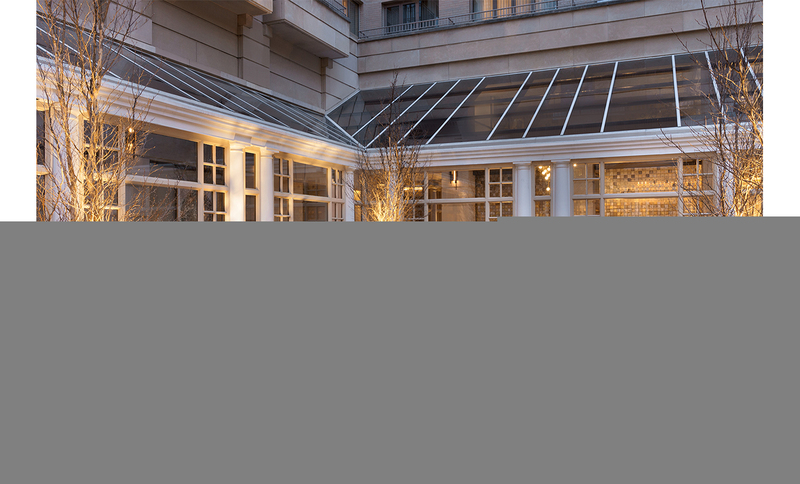 1 Washington venue for summer entertaining! 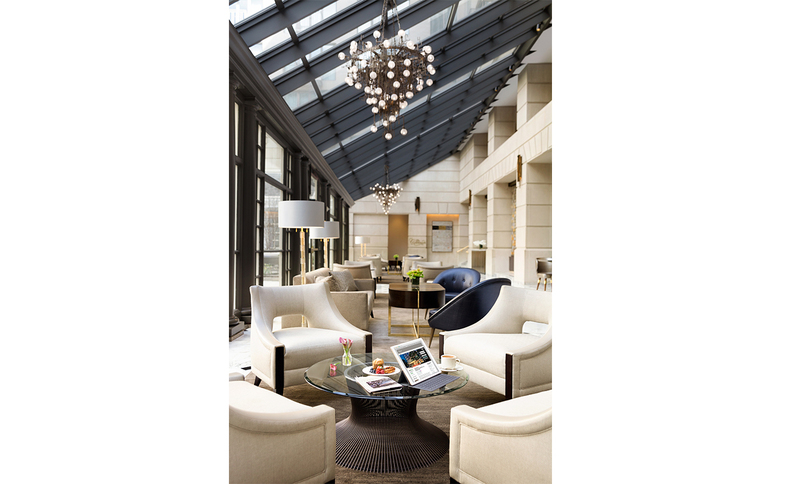 Photography by VRX Studios and Courtesy of The Fairmont, Washington, D.C.